Workout programs for all fitness levels, images, videos, nutrition and more! 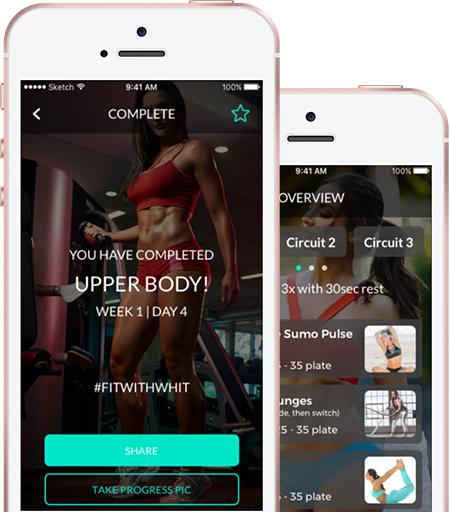 The Fit with Whit app gets your direct access to Whitney Johns health and fitness program, and will help you reach your fitness goals! Become a Fit with Whit App Insider to be the first to know! Fit with Whit App is a partnership between Plankk and W Johns Inc.
Congratulations on becoming a Fit with Whit App Insider! Share now with your family, friends and co-workers to accomplish your fitness goals together!